Unspent helps you answer many questions you might ask yourself about your portfolio and the crypto markets. 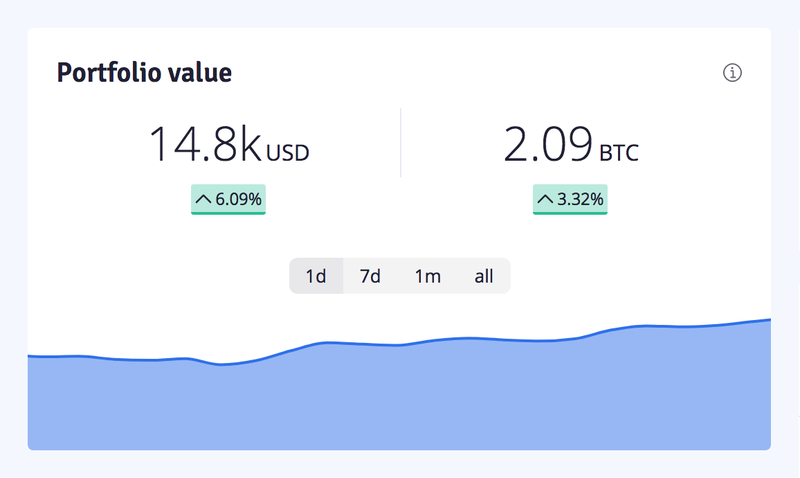 Unspent is a crypto portfolio service that provides simple yet powerful tools and insights to help you easily understand and analyze both your portfolio and overall markets. Automatically sync your exchanges and wallets, and let Unspent crunch numbers and handle the rest! Here are a bunch of questions that I know many people – including myself – regularly ask themselves, and how Unspent saves time answering them! 1. What’s the total value of my portfolio? How did it change since yesterday, last week, last month? 2. How much Bitcoin do I own? What % of my portfolio does it represent? 3. I bought some Bitcoin three times, what is the average price I bought it at? How does it compare to the current price? 4. I bought 2 BTC, and sold 1: how much profit did I make, and how much would I make selling the rest at the current price? Realized profits are profits you made by selling an asset, unrealized profits are profits you would be making by selling what you still own of that asset at the price it’s currently trading at. 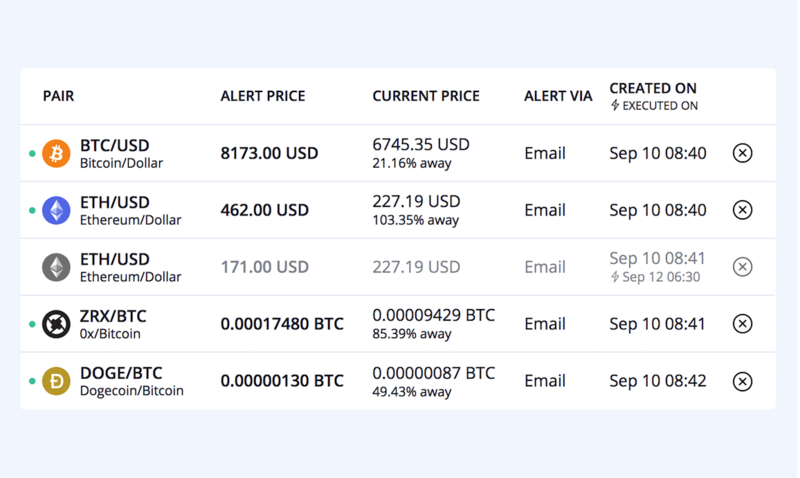 With price alerts, know when any crypto-asset reaches a given price. 6. How much money did I put into crypto, and how much did I get out? 7. 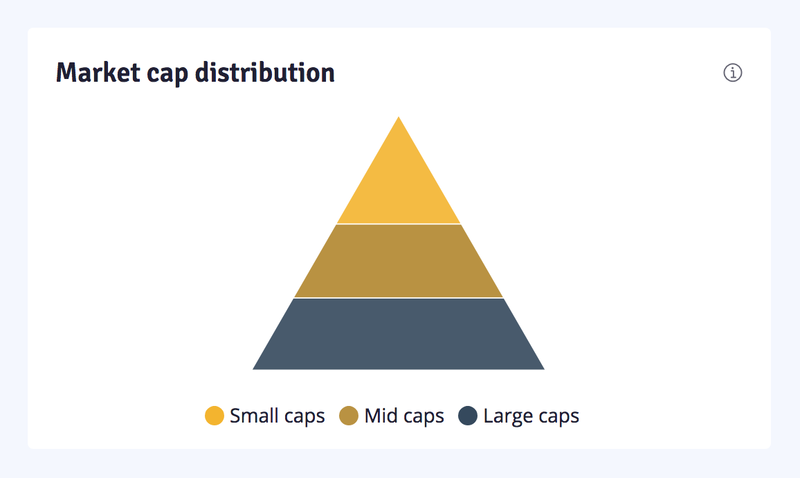 Is my portfolio composed of many assets considered “small caps”, “mid caps”, “large caps”? Does that match my expectations in terms of volatility-related risks? The notion of large/mid/small market capitalization is important for diversifying a portfolio depending on your goals and risk tolerance. Larger market caps tend to have less volatility (smaller price movements up or down), while smaller market caps tend to have higher price fluctuations. Crypto-assets with larger market caps are generally (but not always) technologies that have been around for longer and benefit from a larger ecosystem and network effect, while smaller market caps can be more niche projects, or younger crypto-assets with higher growth potential but also higher associated risk. Note: Crypto markets are all very volatile, and even large cap crypto-assets can have substantial price fluctuations. 8. 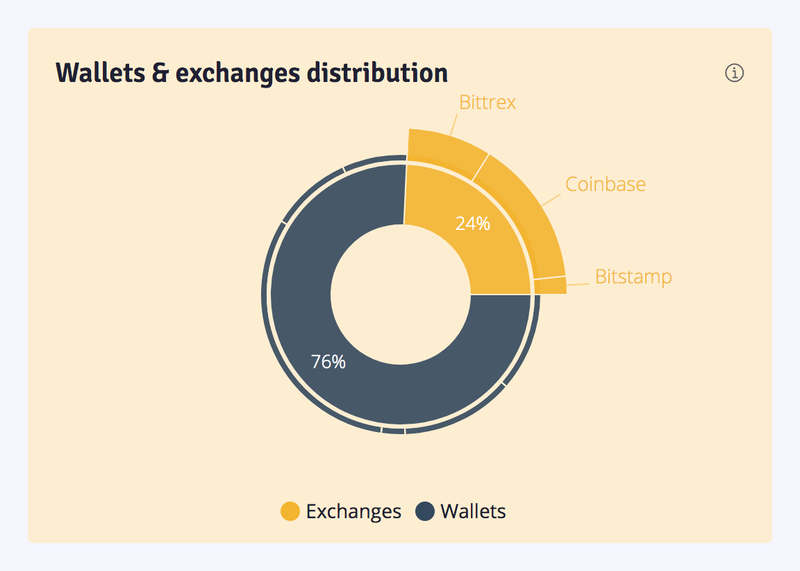 How much of the crypto I own is stored on exchanges? Am I okay with this? This tool is a way to measure custody risk. Custody risk is the risk of theft or loss associated with owning crypto-assets. Some ways to own crypto-assets can be more secure than others. You can generally either choose to trust an exchange to handle that for you, or a wallet that you’ll manage yourself. 9. How volatile was my portfolio over the past six months? 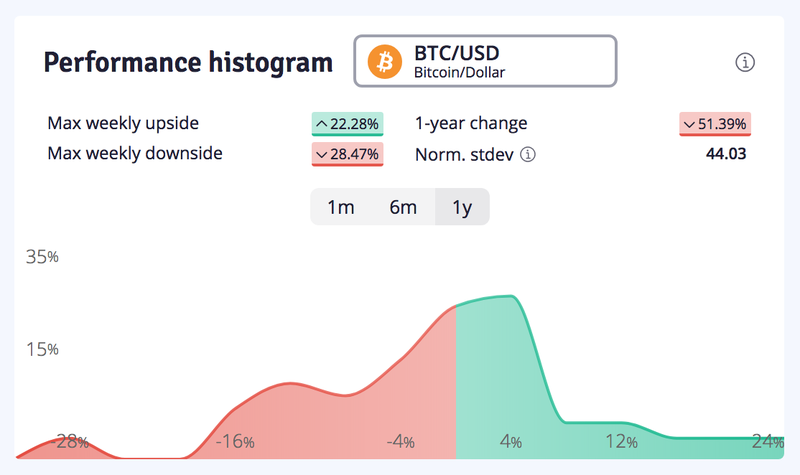 What crypto-assets were less volatile? This histogram is a visual way to represent how often, over a given period of time, your portfolio has been up or down, and by how much. Over the past six months, there was a bit more red than green in the way your portfolio performed, with weekly downsides of at most -20% and weekly upsides of no more than +14% most of the time. More importantly, roughly 75% of the time, weekly swings ranged from -10% to +10%. Whether this is acceptable volatility and performance is left to your appreciation depending on your goals and risk tolerance. 10. How was Bitcoin’s volatility and performance last month? And last year? 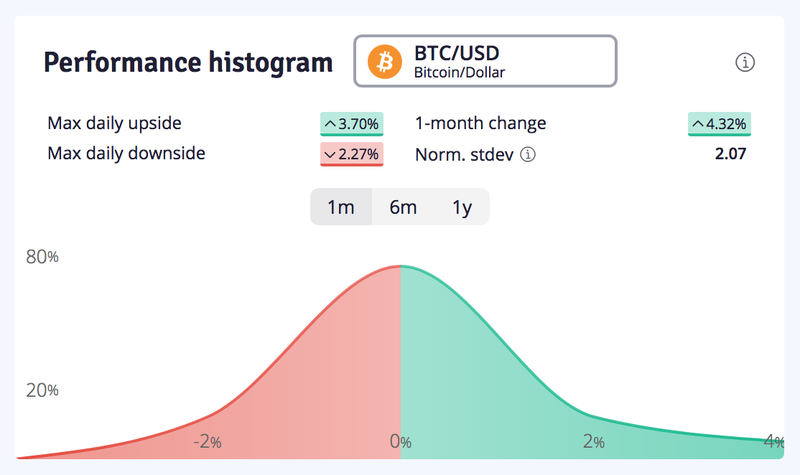 Volatility: over the past year, Bitcoin has had weekly swings between -28% and +22%; over the past month however, daily swings ranged from -2% to +3%, with the majority of days seeing price moves of at most 1% up or down. Bitcoin has been very volatile over the past year, and has been impressively calmer since last month. Performance: there was a lot of red weeks last year, as can attest the one-year downside of -51%; last month, markets were calmer, with the price going up 4% over the whole period. 11. Are small caps highly correlated with Bitcoin? This correlation chart shows how two assets – or groups of assets – move in relation to each other over different periods of time. 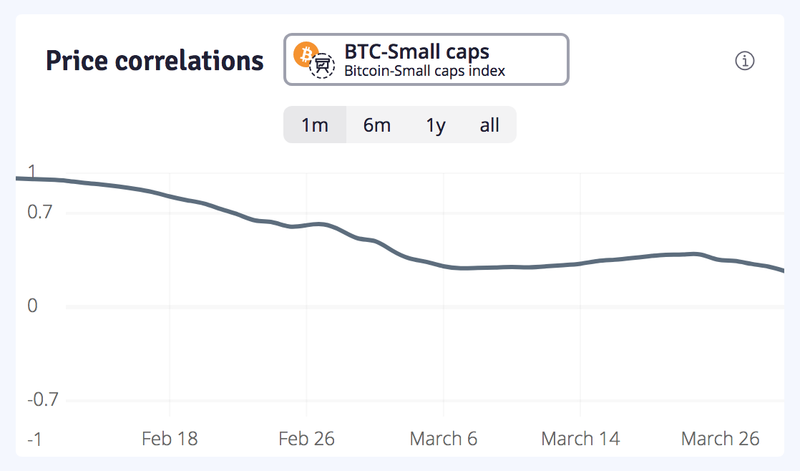 This chart shows very clearly that both Bitcoin and all small caps have moved in very similar ways up to roughly February 18, and have very much decoupled since then. Correlation is helpful to understand how similarly different assets have behaved in the past, minimizing risk by diversifying across assets that don’t behave too similarly, hedging with inversely correlated assets, and generally understanding how the overall market currently moves. 12. What percentage of the token supply do I own for each asset in my portfolio? When it comes to asset allocation, many strategies exist. One such strategy is to think of crypto assets as an emerging technology, and expect power law dynamics from them. 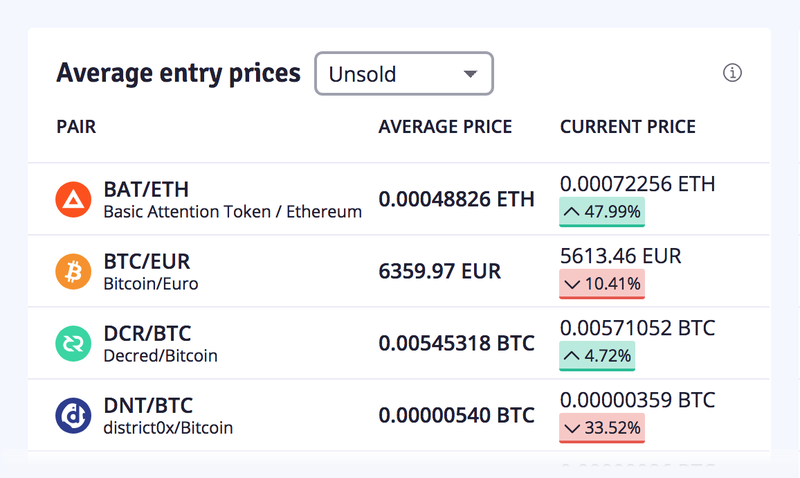 With such market behaviors, the most efficient way to capture value could be to buy a pre-defined portion of an asset’s token supply (e.g. 1/1,000,000 of an asset), rather than focusing on the total value of this asset in your portfolio compared to other assets (e.g. “does this asset represent 10% of my total portfolio USD value?”). These 12 questions are some of the questions Unspent helps you answer about your portfolio and the crypto markets. 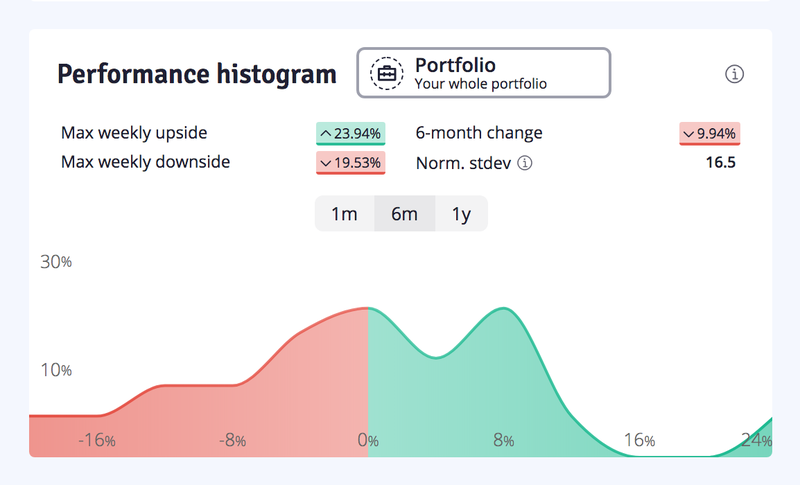 From simple ones like your portfolio’s total value, to gradually more complex ones that involve market analysis, Unspent’s goal is to save you time and help you make the decisions that are right for you. And feel free to follow us on Medium, Facebook, Twitter and Telegram! Finally, if you’re interested in Unspent and have an audience who could be too, then we’d love to chat: please reach out!